Passover Donations - Chabad of Bel Air - Where Everyone Feels At Home! Because of the economy we have been receiving many calls for assistance. 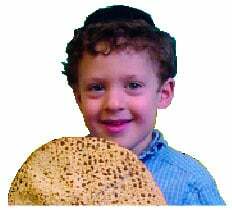 During Passover, many families turn to us for help. because you are helping others. "Rabbi! Thank You for your tremendous work! I want to help you help others!" In Honor of: Make a donation in honor of someone who has inspired you. Mr. & MrsMr.Mrs.Ms.Dr.Dr. & Mrs.RabbiRabbi & Mrs.
Recurring Donation Please charge the above amount to my credit card each month for the next twelve months.